Taxi operators may also not operate in the city due to the petrol pump owners' strike. Several thousand auto-rickshaws that play on the city roads every day, would also face a major difficulty in getting fuel supply. Expect a chaotic start of the week today as over 400 petrol pumps operating in Delhi will remain closed for the next 24 hours. These petrol pumps will neither purchase nor sell petrol, diesel or CNG in protest against the Arvind Kejriwal government for not slashing Value Added Tax (VAT) on petrol and diesel. 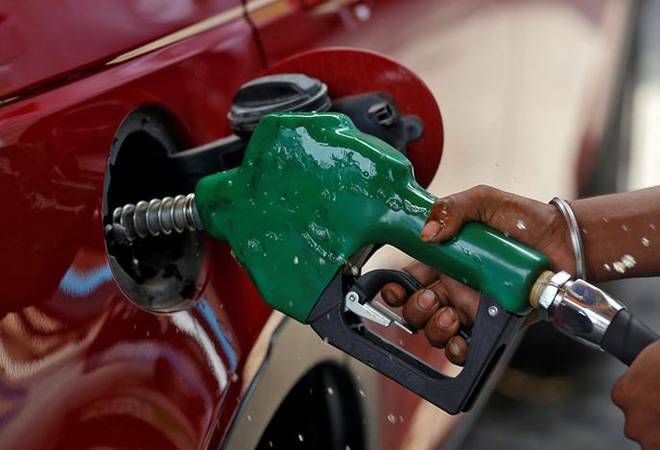 In a statement, the Delhi Petrol Dealers Association (DPDA) has said that all petrol pumps, including those which offer compressed natural gas, will be closed as a mark of protest from 6am onwards on October 22 till 5am on October 23. Reports suggest taxi operators, including some cab aggregators like Ola and Uber, may also not operate in the city due to the petrol pump owners' strike. Besides, several thousand auto-rickshaws that ply on the city roads every day, would also face a major difficulty in getting fuel supply. "The central government had slashed the rate of petrol and diesel by Rs 2.50 per litre each on September 4. This was followed by reduction of VAT (value added tax) by various states including neighbouring Haryana and Uttar Pradesh, bringing relief to their residents. But, the Delhi government refused to reduce VAT on fuel both petrol and diesel resulting in fuel becoming more expensive than bordering Haryana and Uttar Pradesh." In comparison to Delhi, fuel rates in bordering states like Uttar Pradesh and Haryana are cheaper," DPDA President Nischal Singhania said. People had a sigh of relief after the central government announced Rs 2.50 cut in petrol and diesel on October 5, while also asking state governments to announce cuts on similar lines. Following suit, 10 BJP-ruled states, including Madhya Pradesh, Chhattisgarh, Uttarakhand, Jharkhand, Assam, Himachal Pradesh, Haryana, Maharashtra, Uttar Pradesh and Gujarat, had also cut Rs 2.5 VAT on petrol and diesel, passing the total benefit of Rs 5 per litre on to people. Before that, Rajasthan, Karnataka, Andhra Pradesh, and West Bengal had also announced cuts in VAT amid rising fuel prices. However, the Delhi government had decided against slashing VAT on fuel. Petrol pump owners are quite unhappy with the Kejriwal government. The neighbouring states of Haryana and Uttar Pradesh are selling cheaper fuel than Delhi (due to VAT cut), resulting in a huge drop in revenue of petrol pumps in the national capital. According to Nischal Singhania, due to difference in prices, there has been a sharp drop of 50-60 per cent in sale of diesel in Delhi and 25 per cent in petrol in this quarter. Another reason for the pan-Delhi strike is the festive season, especially Diwali. The city sees a manifold increase in social travelling due to vacations and shopping, but the costly fuel means a huge fall in revenue for them. They are hoping that their protest could force the Delhi government to address their concerns. "DPDA urges the Delhi government to immediately reduce VAT on petrol and diesel and encourage commuters to buy euro VI fuel and save the livelihood of employees and owners of petrol pumps of Delhi and also save state's revenue loss," the DPDA statement said.